Southern Paper Packaging commenced its business activities in the year 2012 to meet the rising demands of its valued customers from various industrial and commercial sectors of the industry. As a Partnership based venture, our organization is engaged in executing its entire business activities with its offices based in Tiruppur, Tamil Nadu (India). 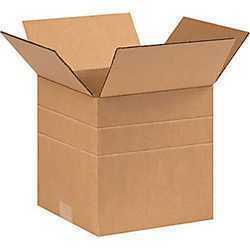 As a renowned manufacturer and supplier our company offers products such as Cartons Box, Packaging Box, Corrugated Roll and Corrugated Box to its valued customers. To meet the utmost demands of our customers, we are in consistent practice of improving quality of our products through integrity and technological advancement. We use best quality raw material for manufacturing our products which give excellent strength to final products. We manufacture the products by using modern machines based on latest technology. With the view to satisfying the customers by the product quality, we stringently follow the norms of the industry which helps a lot to gain our customers trust. All our practices help us build a long lasting relationship with our customers.